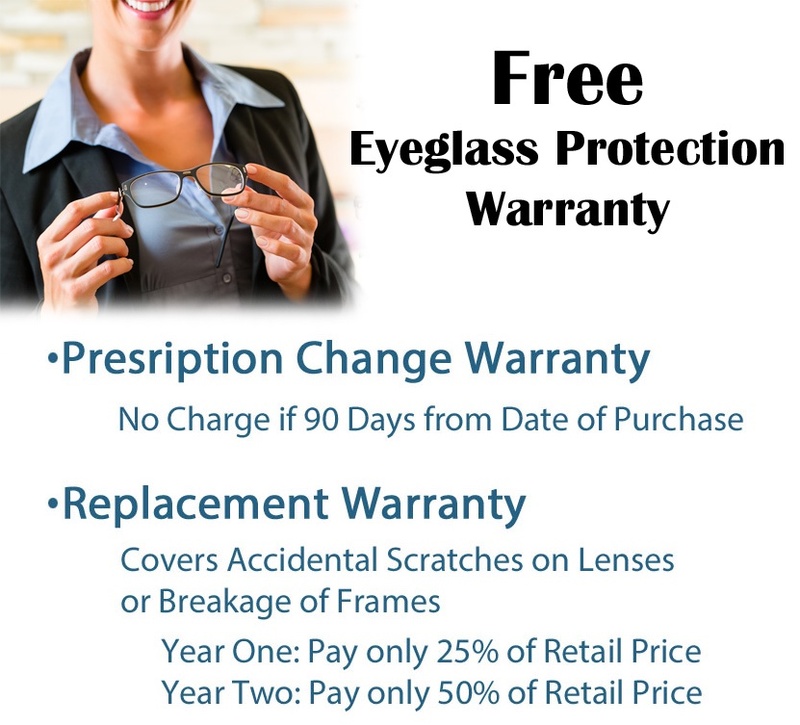 The eye care specialists at DelMar Surgical and Cosmetic Treatment Center offer eye glasses in Wilmington and Newark, Delaware; Elkton and North East, Maryland and surrounding areas in Delaware, Maryland and southeast Pennsylvania. At the Lavenburg Medical Group, our knowledgeable and friendly optical staff is ready to work with you to select eye glasses that fit both your vision needs and your aesthetic desires. With a wide variety of lenses and frame styles on offer, including designer frames, we provide personalized consultations to ensure optimal fit, comfort, design and performance for your new eyewear. Our range of designs fits all ages and all face shapes, and we can help you find the right style and the right lens to meet your needs and stay within your budget. Experienced Certified Opticians who have today's technology, understand the proper fitting of frames, and are also style savvy. We offer a large selection of frames and lenses designed to fit the needs and lifestyles of our patients to achieve optimal vision. Over time, exposure to the sun's rays without proper protection can contribute to many problems including: cataracts, macular degeneration and premature skin aging as well as cancer of the skin of the eyelids. Coppertone Polarized Sun lenses offer premium eye protection, visual performance and comfort for your entire family. It is estimated that 80% of lifetime exposure to UV occurs by age 18, so it's important that parents teach children how to enjoy fun in the sun safely! Since avoiding the sun completely isn't possible or realistic, everyone, especially the young need effective eye protection, which is why Coppertone lenses are the best protection for your entire family! We carry many lines of non prescriptions sun wear such as Maui Jim, Ray Ban, Nautica, and Carrera to name a few. If you suffer from eye strain while working on your computer or performing visually intensive hobbies, you may be suffering from Computer Vision Syndrome. Eye strain is the most common symptom of CVS and as many as 125 million Americans have it. Eye muscles become overworked and fatigued in the repeated attempts to focus on your computer. Other symptoms include headaches, tired or burning eyes, slow focusing, blurred vision at distance as well as neck and shoulder pain. Get relief with Hoyalux Tact lenses with Anti-reflective Advantage. They will reduce eyestrain symptoms caused by CVS and you will have sharp clear vision at intermediate and close distances. All in all you will enhance your visual comfort and further reduce eyestrain, they will make you look better and see better! Most parents wouldn't think that an innocent game of softball could lead their child to the emergency room, but sports and recreational activities cause more than 40,000 eye injuries each year, according to the American Academy of Ophthalmology. In fact, baseball is the main cause of sports-related injuries in 5 to 14-year-olds. Children often lack depth perception and sometimes misjudge the speed or distance of a flying ball, a mistake that could cause a ball to hit the face. However, according to Prevent Blindness America, 90% of sports-related eye injuries can be prevented by using proper protective eyewear. If your child is involved in sports, a proper pair of sports glasses with polycarbonate lenses will provide the best protection against eye injuries. To provide optimum protection, sports goggles must be fitted properly our opticians will fit your child with the proper sports glasses to protect their vision. If an impact should occur and the goggles are pushed toward the face, a large eye opening keeps the impact points far above and below the eyes protecting the eye and damage of the the globe of the eye. Most employees take"healthy eyes" for granted. But our eyes are really very fragile, and statistics show that eye injuries occur frequently in the workplace. Statistics show how many eye problems are caused by not paying attention to the work employees are doing, or not wearing the appropriate protective equipment. We educate our patients that eye injuries can easily happen to them at work and in their home during hobbies and doing common things such as gardening . We carry an assortment of safety eye wear that is approved by OSHA and ANSI standards to prevent these injuries. Our Newark location at the Abby Medical Center features an Optical Boutique in which we carry designer frames such as, Fendi, Michael Kors, Jimmy Choo, Vera Bradley, Banana Republic, Adrienne Vitadinni, Anne Klein, Liz Claiborne, and many more. Stop by our office and ask for your personalized eye wear fitting with our Optical Manager, Gwenn Lewis, ABOC . Our Elkton Optical Shoppe in the Chesapeake Corporate Center, features many affordable frames for the budget conscious person, as well as designer frames as in our Newark office. Both offices carry Sports Eyewear, Safety Eyewear and many Computer/Task specialty lenses to fit your daily activities. If you are seeking eye glasses or a comprehensive eye exam, please call our practice today. In many cases, your medical insurance or vision insurance plan will pay for the evaluation. Our doctors are professional eye care specialists with experience in contact lens evaluations in Delaware and Maryland. Please view our Facebook page for more information about the Lavenburg Medical Group and the DelMar Surgical and Cosmetic Treatment Center.